Bonnie Lee Thorpe, 88 peacefully rejoined her departed loved ones on January 4, 2017. Born January 3, 1929 to Theron Beesley Lee and Charlotte Tams Lee in Brigham City, Utah. She graduated with honors from the University of Utah with a Bachelor of Science degree in Business with a minor in Geology and was an active member in the Kappa Kappa Gamma Sorority. 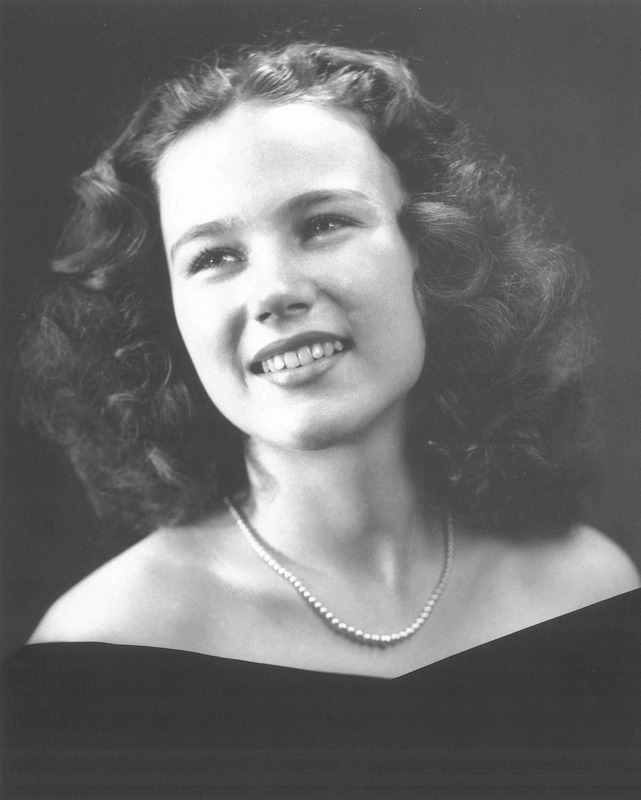 A Brigham City Peach Queen for 1947, she possessed a caring, charismatic personality and optimistic outlook on life. A talented and disciplined student, Bonnie was selected as the Editor for each of her Junior High, High School and University Yearbooks. A voracious reader, she particularly enjoyed mysteries and romantic novels. Bonnie married Sherman William Thorpe prior to completing his surgical training as a medical student attending Temple University in Philadelphia. Their marriage was sealed in the LDS Logan Temple in Utah on August 23, 1950. In 1951 Bonnie joined her husband deployed in Sendai Japan where, as a commissioned officer in the Army, he served as Chief of Surgery for a Japan Logistical Command Army hospital treating US military casualties flown in from Korea and civilian radiation victims from regions around Hiroshima and Nagasaki. As a member of the Department of Army Civilians, she toured military camps throughout Japan auditing financial records for the Army. The couple moved to Mesa in April 1958 and set up the East Valley’s first surgical practice wherein she managed the office. 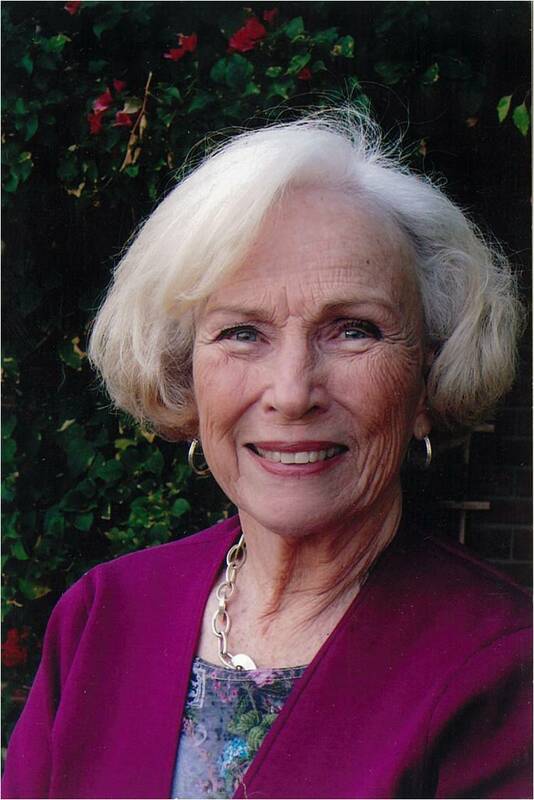 Bonnie was active in Church, Civic and sorority organizations. She became a residential Realtor and in 1982 became the Realtor of the Year for the State of Arizona for her Safety through Songs educational program that was implemented nationally by the National Association of Realtors. In 1985 she co-founded the world’s first commercial drone manufacturing company with her son Douglas with whom she continued to work into her eighties. Bonnie enjoyed attending and serving her Church, being with her family, boating, swimming, hiking, camping, motoring across the country many times, travel abroad and especially gazing at “Frog Inlet” and the Sea of Cortez at sunset from her “Casita del Mar,” a small home she bought with her husband on Pelican Point near Puerto Penasco, Mexico. Bonnie was preceded in death by her husband on December 24, 1999. She is survived by her sister Luana Horne, twin sons Douglas Thorpe and David Thorpe, daughter Christine Helfers, son William Thorpe and their spouses; 11 grandchildren: Stacy Lippert, Christine Smith, Steven Thorpe Castro, Nicholas Thorpe, Maggie Thorpe, Beth Everhart, Nate Everhart, Katherine Blaha, Stephen Thorpe, Brian Thorpe, Alison Thorpe; and two great-grandchildren Zachary Lippert and Emma Everhart. There will be a visitation Friday, January 13, 2017 from 6-8 pm at Bunker’s Garden Chapel, 33 N. Centennial Way, Mesa, Arizona. Funeral services are Saturday, January 14, 2017 at 12 Noon, preceded by a visitation at 11 am, at the Church of Jesus Christ of Latter Day Saints 1455 North Harris in Mesa. Interment will be at the Mesa Cemetery, 1212 North Center Street, Mesa, Arizona. My beautiful Aunt Bonnie, I will miss you so. So sorry for your loss. We have had so many fond memories of Bonnie over the years. She was an energetic, vibrant woman ,mother and grandmother. She will be missed. Praying your family will embrace the wonderful memories of your mother to help through this most difficult time. We are so sorry for your loss. Her smile and caring nature will be missed by all who knew her. We wish you and your family peace in knowing that she is with her maker.